Lamar Gant was a powerlifting phenomenon. He is most famous for his feat of dead lifting 661 pounds when he weighed only 132 pounds. This is why much of this post focuses on Lamar's amazing deadlift accomplishments. But first, Who is Lamar Gant and what can you learn from his achievements? Lamar Gant is an American world record-holding powerlifter who was born in 1957 in Fort Collins, Colorado. He was inducted into the International Powerlifting Federation Hall of Fame in 1980, and is arguably one of the greatest American powerlifters of all time. Lamar Gant now in 2018 is about 61 years old. Some of his deadlifting records remain standing till today. He is a sixteen time world champion of the International Powerlifting Federation (IPF) world titles. What is astonishing about his world and national championships? He was all of 5 feet 2 inches in height and 123 pounds in weight, not the typical profile of a powerlifter. He won his first world powerlifting title in 1975 at the age of 16 and his last 15 years later. No powerlifter has ever won more. 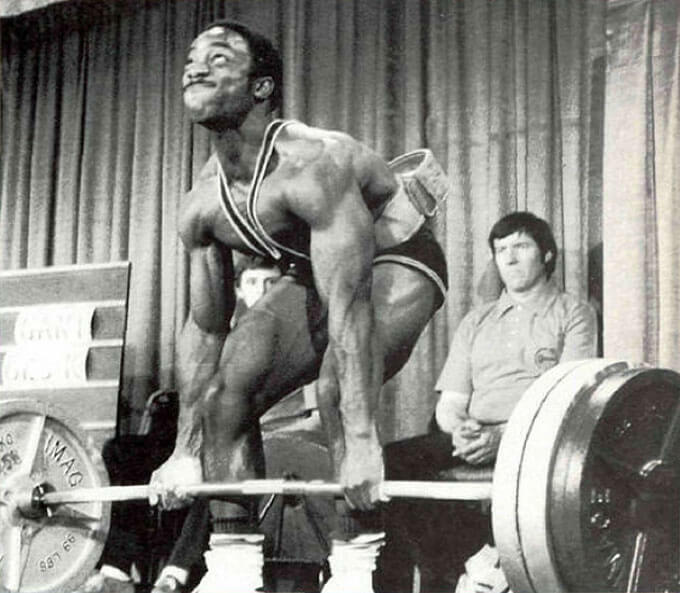 Lamar Gant in action, setting world record deadlifts which still stand today despite being 5'2″ and having scoliosis! Can You Deadlift Your Body Weight? In 1985, he became the first person in history to deadlift five times his own body weight. This is a feat unmatched till today. He deadlifted 661 pounds at a bodyweight of 132 pounds. Below is a video uploaded by Lexington Plummer of a Lamar Gant deadlift of 634 pounds at 5'2″ in height and a bodyweight of 123 pounds. If this deadlift record does not motivate you to make the most of your genetic potential, what will? Lamar holds the world records for deadlifting in both the 123 and 132-pound weight classes. You might say that his short torso and long arms helped his deadlift. Nevertheless, Lamar Gant is still the only person in history to deadlift five times his own body weight. Let's see, for me or possibly you to achieve the same, that would mean a deadlift over a thousand pounds! I am still working on feeling comfortable with deadlifting my own body weight let alone five times my own body weight , that is simply amazing. Another Lamar Gant deadlift marvel. He suffers from scoliosis, which is curvature of the spine. Scoliosis afflicts approximately 5% of the U.S. population and is about five times more common in women than in men. Scoliosis is serious, progressive and possibly even life-threatening. Nevertheless, despite having scoliosis, he deadlifted weights of over five times his bodyweight. “I've seen nothing in the literature at all like this, in which a person with such an advanced degree of curvature—so advanced that he'd be four to six inches taller without it—is nevertheless a world-class athlete. Gant's powerlifting successes can serve as a lesson for any of us who think that we were not born with the physical capabilities to build muscle. Never give up, keep working at building muscle no matter where you are in life, more muscle means better health, as Dr. Kappler suggested, even for a man like Lamar Gant with idiopathic scoliosis. And when you want to build more muscle, look no further than the powerful benefits of deadlifts for your entire physique. His first powerlifting championship came at age 18, when he won the 123-pound class at the 1975 world championships in Birmingham, England to become the youngest men's world champion in powerlifting history. Lamar Gant set his first world record deadlift in 1974 by deadlifting 524.5 pounds at a bodyweight of 123 pounds at the Flint Olympian Games. 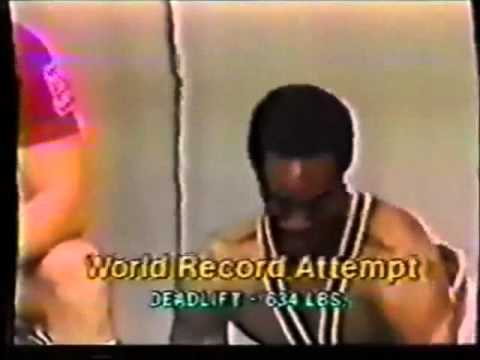 On October 7th, 1982 in Dayton, Ohio, Lamar Gant performed a deadlift of 638 pounds while he only weighed 123 pounds. And then, December 11th, 1988 in Perth, Australia, Lamar Gant performed a deadlift of 683 pounds, when he weighed 132 pounds. If that did not impress you, how about a video uploaded by Steve Goggins of another Lamar Gant deadlift of 672 pounds at a bodyweight of 132 pounds? “You need to pace yourself in the deadlift. The deadlift is the one lift that demands the most mental toughness, but that does not mean that you have to go all out every workout. When you are doing 8 reps in a workout set, you should be using a weight that you can do 11 reps with. “Lamar was already so strong I knew he had the capability to break a world record,” he says. “All he needed was the desire, and he had that from the beginning. Lamar never missed a workout. Not ever. Lamar Gant originally used a training routine based on one his weightlifting coach Bill Stiff had gotten from an old professional strongman named Harold Ansorge from Grand Rapids, Michigan. Week 1: 5 sets of 8 deadlifts with 350 pounds. Week 2: 5 sets of 8 deadlifts with 365 pounds. Week 3: 5 sets of 8 deadlifts with 380 pounds. Week 4: 5 sets of 8 deadlifts with 390 pounds. The first month of Lamar's deadlift program uses 5 sets of 8 deadlift reps. You can apply this to where you currently are in your deadlift conditioning, whether you start with 5 sets of 8 reps at 50 pounds or 500 pounds. Make sure that you are using a weight which is not your maximum. Whatever weight you start at, you should be capable of lifting the weight for at least 3 – 5 more reps.
Week 5: 5 sets of 5 deadlifts with 350 pounds. Week 6: 5 sets of 5 deadlifts with 350 pounds. Week 7: 5 sets of 5 deadlifts with 350 pounds. Week 8: 5 sets of 5 deadlifts with 350 pounds. The last 4 weeks of the Lamar Gant Deadlift routine will use a maximum of 3 deadlift reps per set. Week 9: 5 sets of 3 deadlifts with 460 pounds. Week 10: 5 sets of 3 deadlifts with 470 pounds. Week 11: 5 sets of 3 deadlifts with 480 pounds. Week 12: 5 sets of 3 deadlifts with 490 pounds. This workout assumes that you can already do a 500 pound max deadlift. By the end of this deadlift workout routine, you should be able to increase your deadlift by 30 or 40 pounds. You can use this Lamar Gant Deadlift Routine as a template no matter where you are for your max deadlift. Remember to never go all out unless you are doing a one rep max deadlift test or competition. If you are a beginner like myself, try out the 12 Week Deadlift Program for Beginners in Fitness or Powerlifting. But, if you are still obese or overweight, then start with Obese Man Ditches 3 Common Habits and Loses 75 Pounds in Only 6 Months. Lamar Gant recommended wearing deadlifting shoes that have little to no heel. He believes that you should not wear deadlift shoes with a heel because they will cause you to lean too far forward in the pull phase of the deadlift. He also said that you should definitely use a deadlift power belt because a deadlift belt can add 40 pounds to your max deadlift. Lamar also recommends a supportive deadlift suit to help ‘build resistance' for the deadlift. Build resistance in Lamar Gant speak means that you are tightening your body as much as possible in anticipation of the deadlift. Tightening your body is critical to Lamar's approach to deadlifting as well as any other weight lifting exercises. “Approach the bar as tight as possible. Make the body feel like it is hard to reach that bar. Once at the bottom, you are ready to explode upward. Anyone who witnessed a Lamar Gant deadlift of over 600 pounds could not be faulted for wondering if he was using anabolic steroids to achieve such a lift at only 123 and 132 pounds bodyweight. As a result, he even took a lie detector test besides drug testing. He wanted to disprove those who could not believe that he was deadlifting over 700 pounds in his deadlift workouts. He was tested in Auburn, Ala. by Mike Capps, a licensed polygraph examiner. 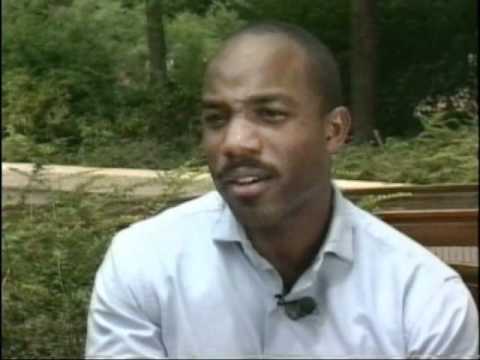 Mr. Capps stated afterward that Mr. Gant had never used any form of anabolic steroids or testosterone. Lamar recalled an incident which happened on his first trip overseas to England in 1975. A couple of the older guys came to him and told him all about how good steroids are. They told him that he could deadlift 600 pounds if he took them. Another great lesson for anyone in powerlifting, weightlifting or deadlifting. Just don't do drugs. You can still get strong without drugs. 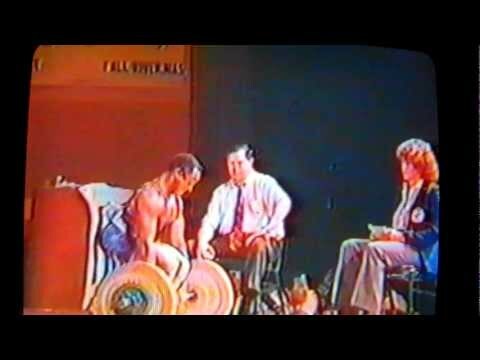 Look at the Lamar Gant deadlift, squat and bench world records that are still standing today, thirty years later. Crossfit athletes are among the most fit in the world. 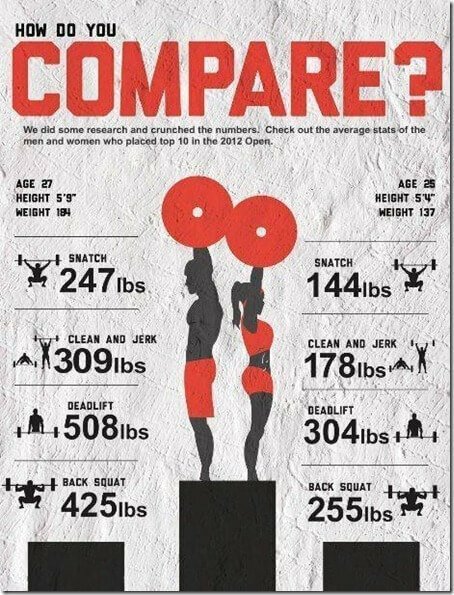 I came across an infographic created by some crossfit number crunchers. Amazingly, Lamar Gant's deadlifts still looks quite impressive. Did you ever hear of Lamar Gant? Don't feel bad if you have not or you think his name is Lamar Grant. I never did myself until recently when I wanted to lose weight and get back into shape. I started to learn about the incredible benefits of deadlifts and eventually read about how deadlifts played a role in the careers of Lamar Gant, Allyson Felix, Franco Columbu and even Hugh Jackman. In this article you gain inspiration from Lamar's success in powerlifting, despite his incredible physical challenge of scoliosis. Just thinking about Lamar's persistence despite his obstacle motivate me to get to the gym despite the never ending cold in New York City. Are there any other powerlifters out there who have inspired you besides Lamar Gant? Next, please read how Hugh Jackman Deadlifted to Ripped Stardom in The Wolverine.